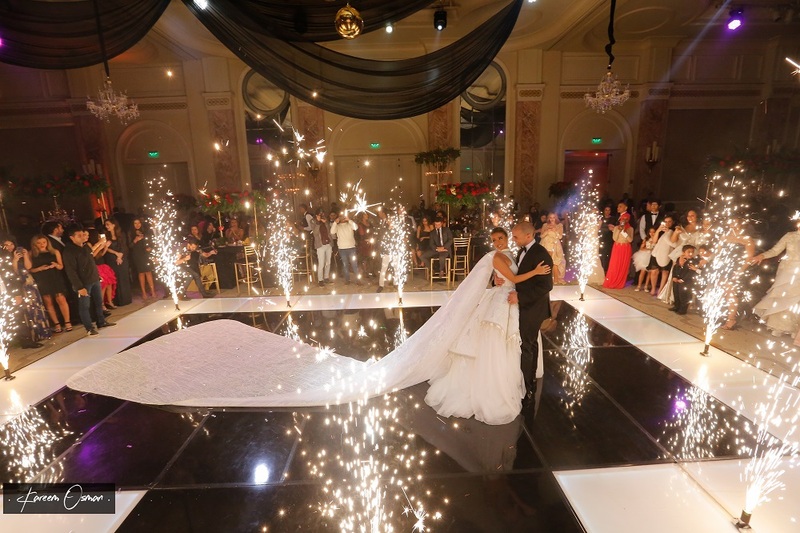 Whoever says Arabs can’t throw stylish weddings should take a look at the past year’s astonishing Arab weddings that wowed us with their breathtaking venues, beautiful gowns, fashionable guests, and of course beautiful brides and handsome grooms. 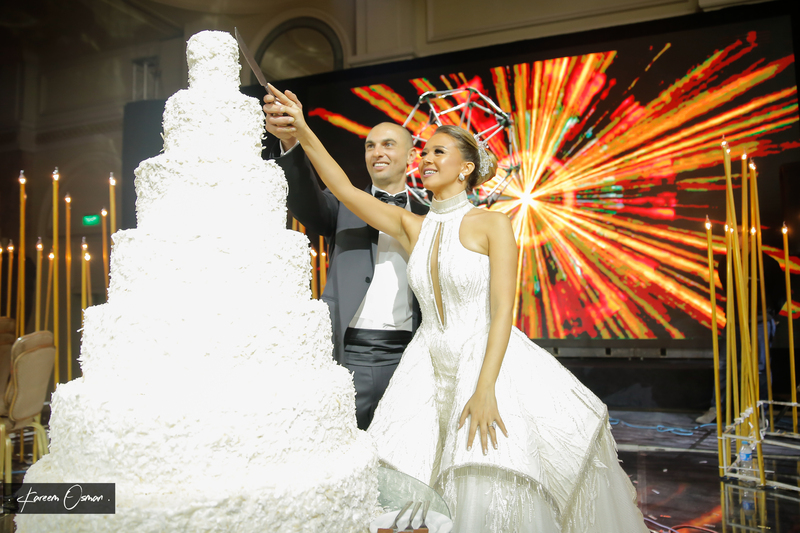 These couples not only threw some of the most beautiful wedding celebrations of the year, they also continue to inspire us with their sparkling young love. 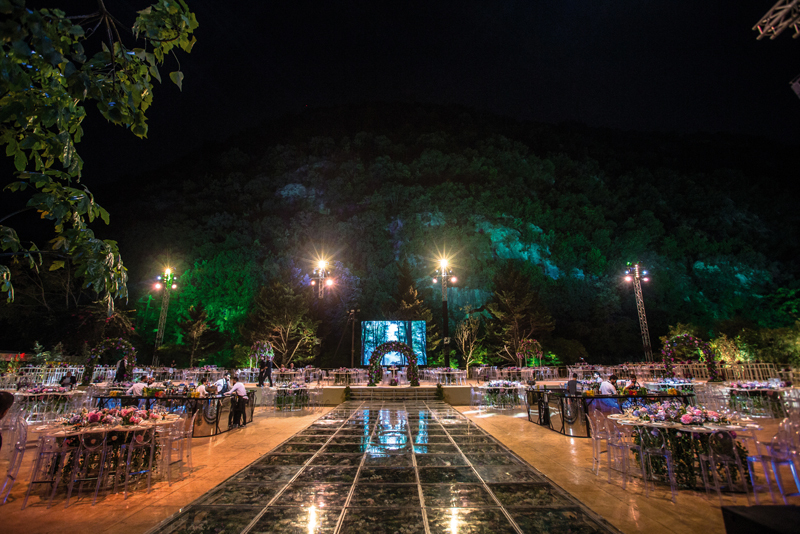 So, let’s take a look at some exclusive pictures and details from these fascinating nuptials. 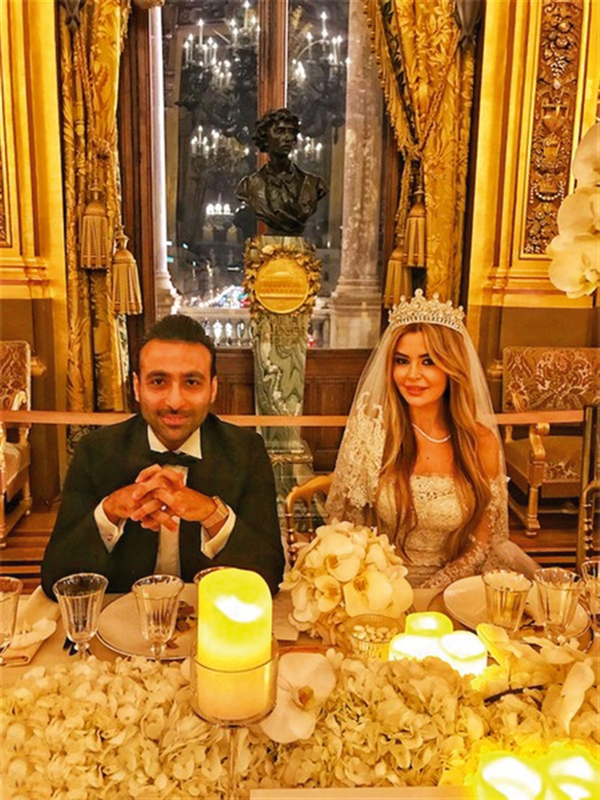 Zeynab El Helw, the Dubai-based fashion blogger got hitched to Marketing Manager, Mohamed Kanso, in a lavish Spanish themed wedding. 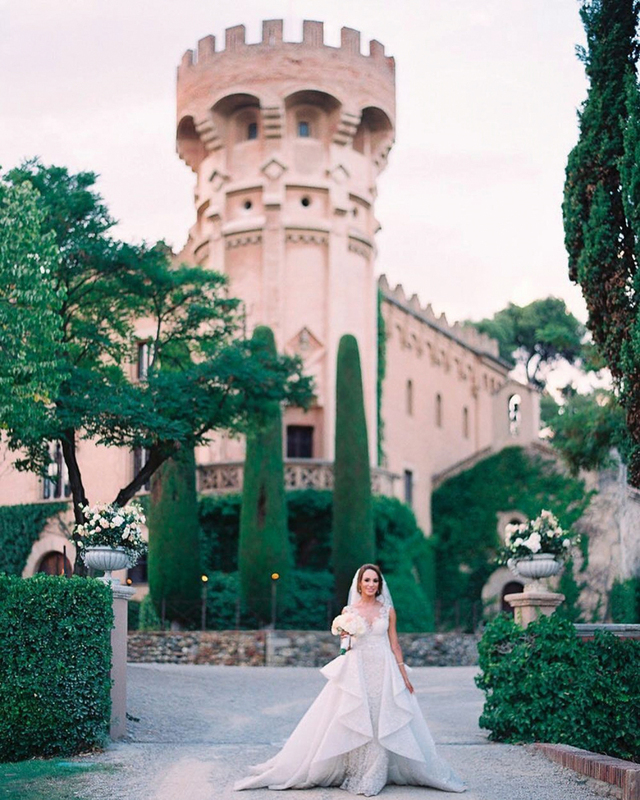 The extravagant ceremony was held at an ancient castle in Barcelona named Castell De Sant Marsel, and the photos were something out of this world! 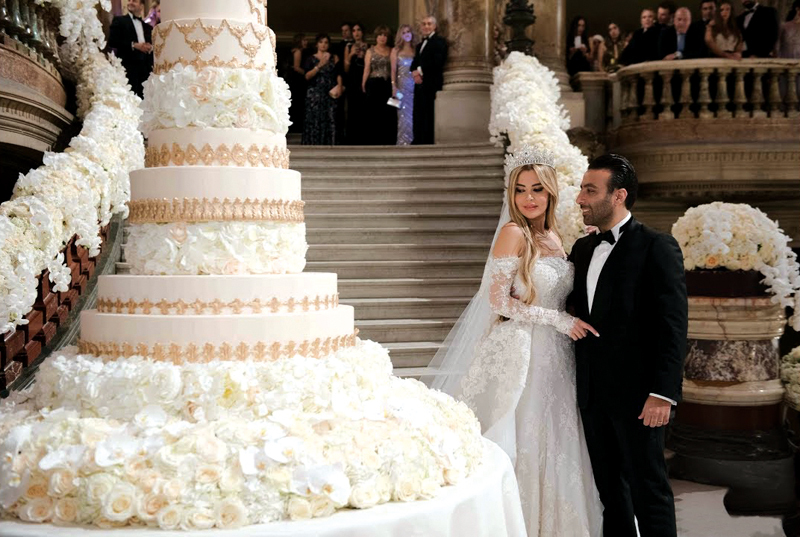 The bride wore a beautiful Zuhair Murad dress and rocked a pair of Christian Louboutin’s finest shoes. 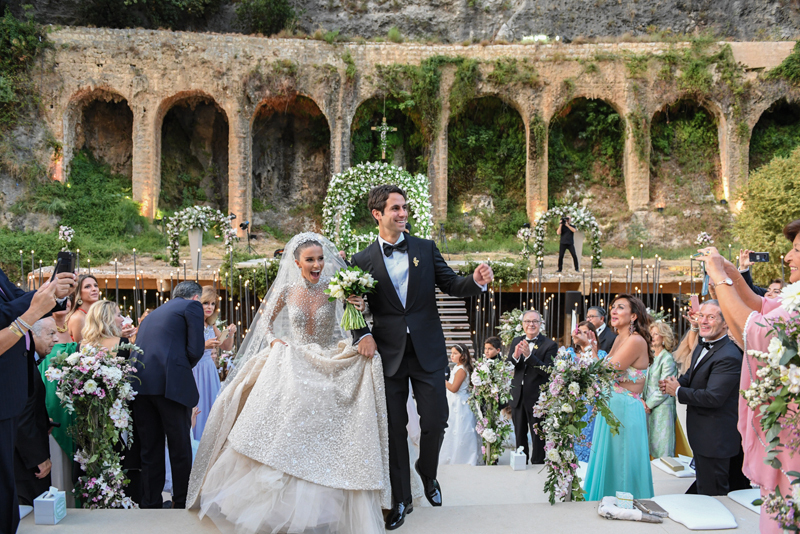 The Egyptian singer and songwriter Lara Scandar was wed to the talented jewelry designer, Philipe Katchouni, in the most elegant style. 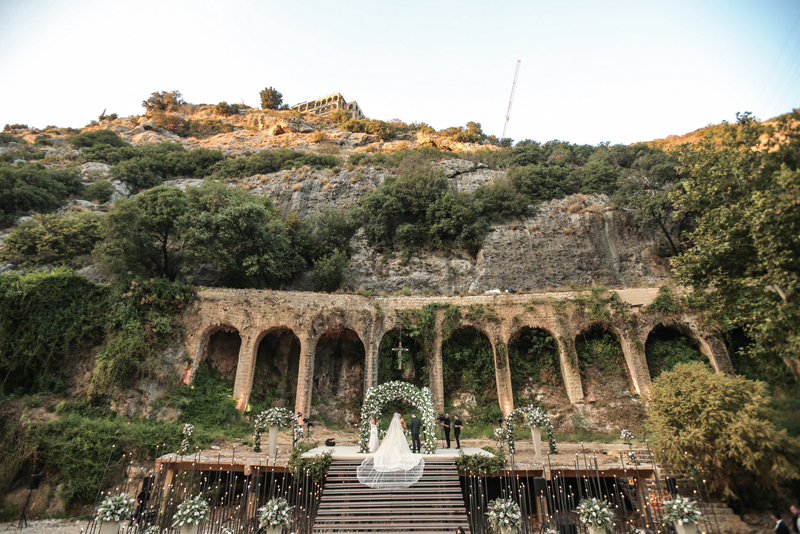 The two sure planned a fairy tale wedding inspired by the Garden of Eden, with a Lebanese Roman venue, a Zuhair Murad gown and Disneyland songs. 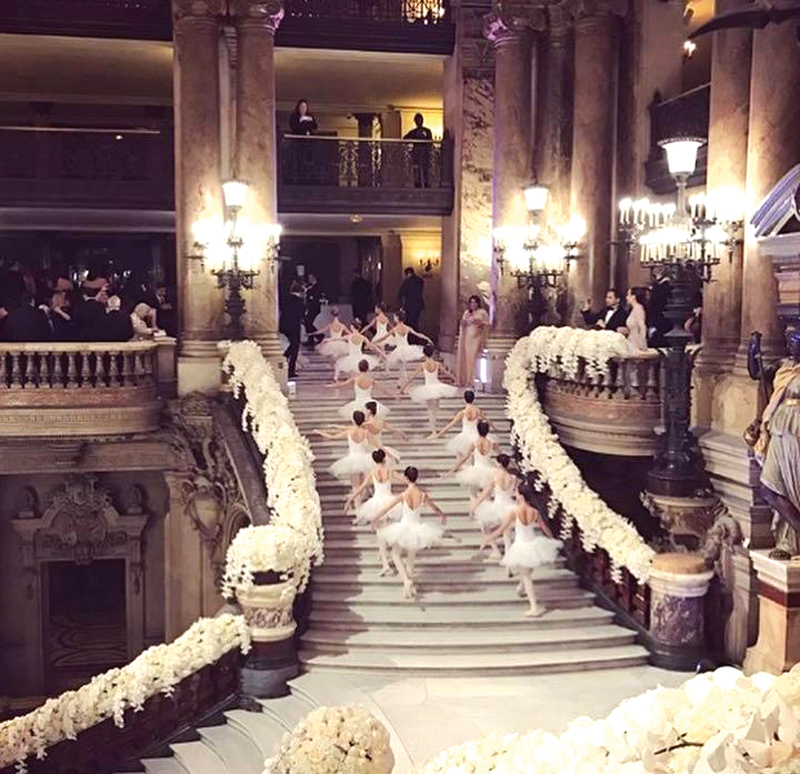 They certainly gave us the ‘awww’ feeling. 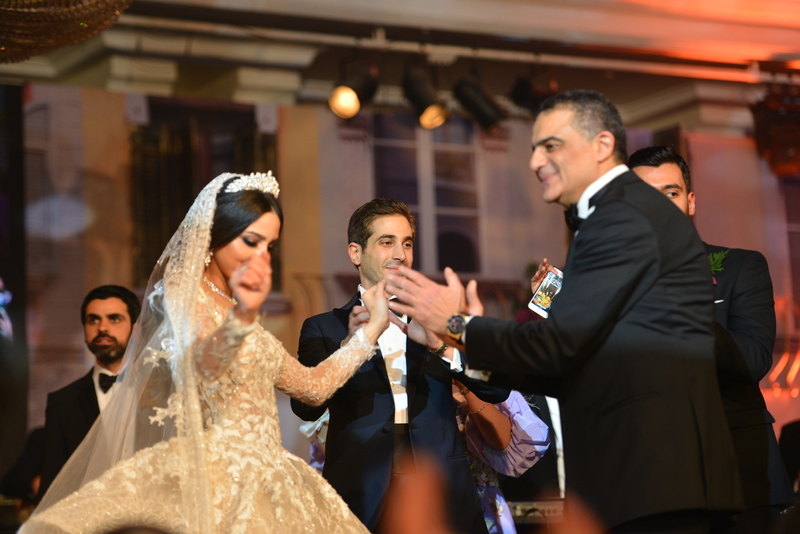 Lara Khaddam got married to Mounif Nehmeh in everyone’s perfect idea of a wedding. 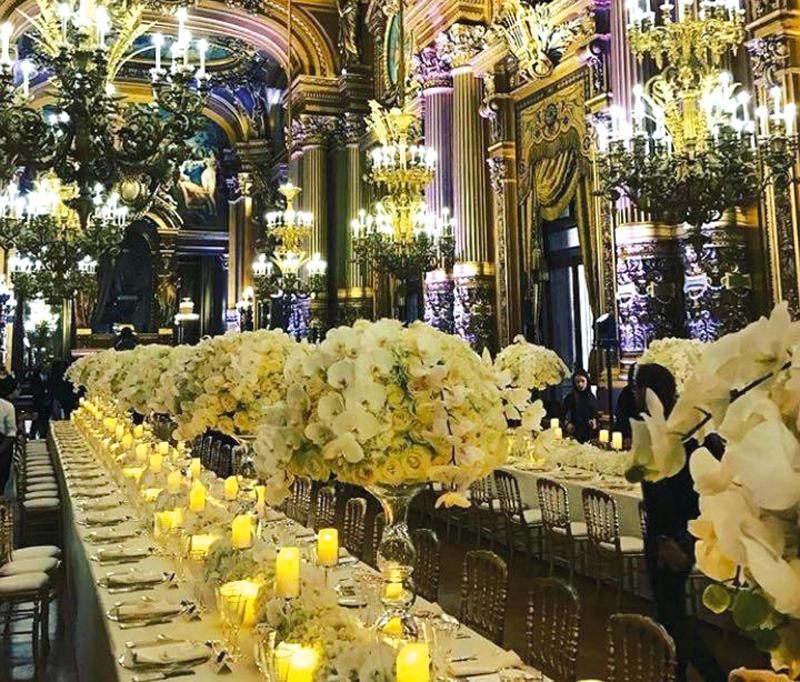 The couple chose none other than the historical Opera National De Paris as the venue, with actual opera and ballet singers performing throughout the night to keep the guests entertained. 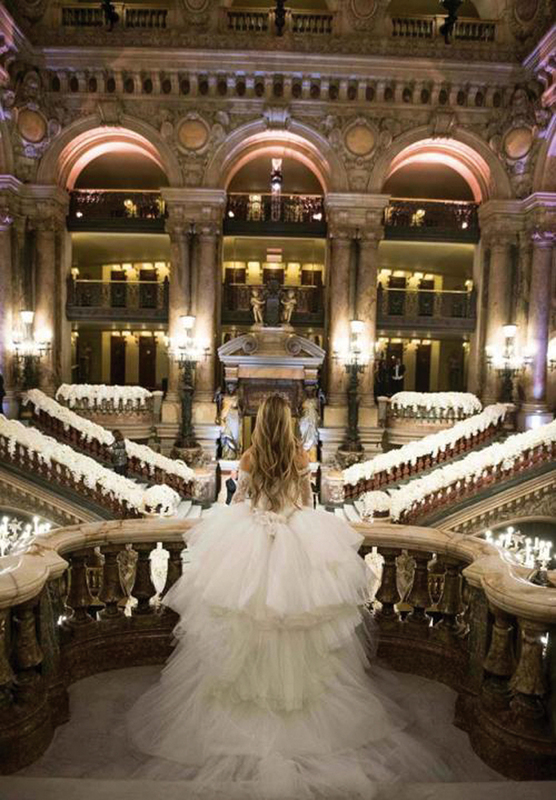 The bride looked like a visiom in a Zuhair Murad gown that matched the grand setting. 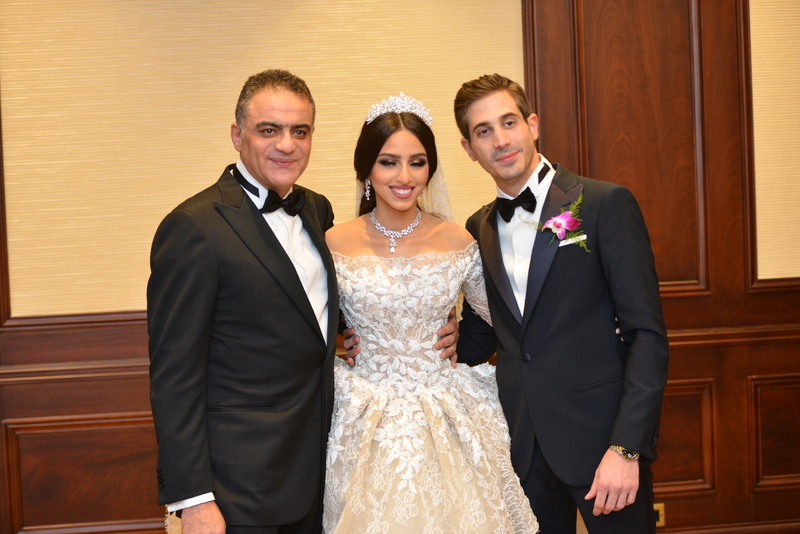 Egyptian Fashion Designer, Farida Temraz, also known as the woman behind Temraza, got married to Mansour Adel Abbas Mansour, Investment Director at Infinity Capital Investments, in a fairy-tale like wedding held at the Four Seasons Hotel. 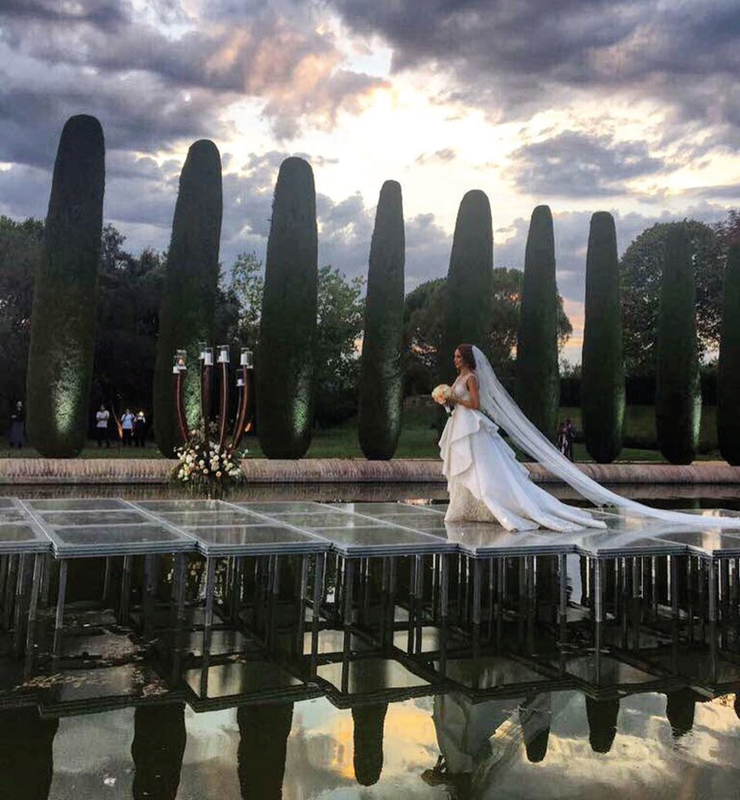 Naturally, Temraza designed her own wedding gown with 25 kilos of hand-made beading and it was just phenomenal. 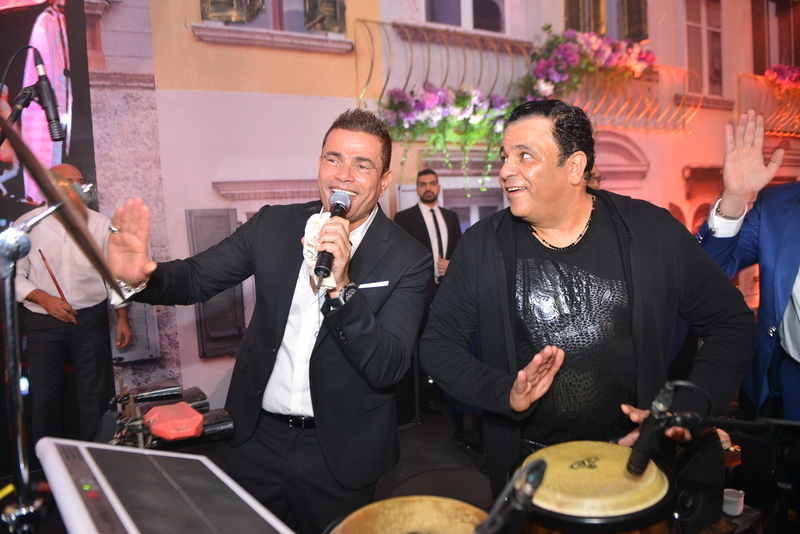 other than superstar Amr Diab. 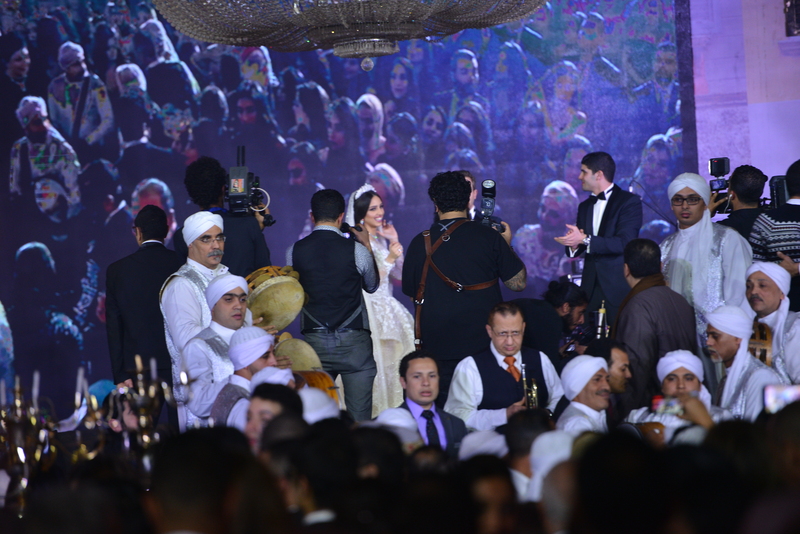 A special performance with Mohamed Fouad, was dedicated to the newlyweds.